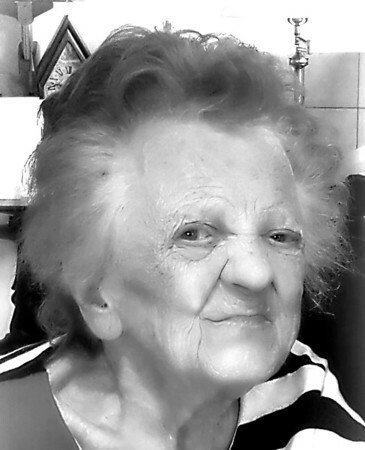 Joan Brescia, 87, of New Britain, wife of Vincent J. Brescia, passed away Friday, April 13, 2018, at the Hospital of Central Connecticut in New Britain. A lifelong New Britain resident, Joan was a graduate of E.C. Goodwin Technical School, and was a hairdresser who also worked as well with her husband, at Vincent Brescia Real Estate and at D. Brescia Construction Company. Besides her husband Vincent, Joan leaves behind two daughters, Patricia Bourdon and her husband Peter of Rocky Hill, and Barbara Selner of New Britain, two sons, Rodney Houston of New Britain, and Vincent M. Brescia and his wife Lynae of Newington; 10 grandchildren, 14 great-grandchildren, and one great-great grandson. Posted in New Britain Herald, on Monday, 16 April 2018 17:32. Updated: Monday, 16 April 2018 17:35.